That popular nursery rhyme about a green and yellow basket helped launch jazz great Ella Fitzgerald's singing career. It was a breakthrough hit for the vocalist when she recorded it in 1938, and today the song is in the Grammy Hall of Fame. 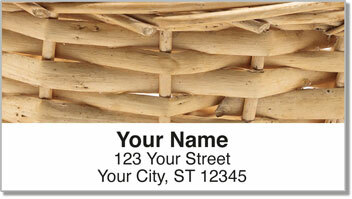 If there's a basket weaving hall of fame, the skillfully created varieties featured on these mailing labels would be shoe-ins! 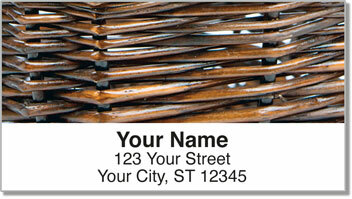 This is an ideal choice if you love arts and crafs, or simply enjoy the rustic look of a hand-woven basket. 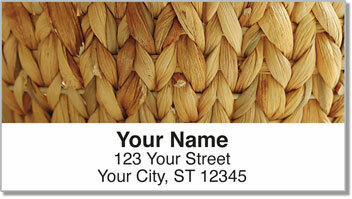 Plus, these labels are self-adhesive. That makes them a convenient solution when it comes time to prepare your outgoing mail. Just peel and place! 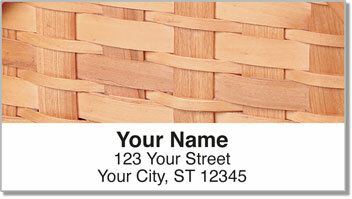 Get your very own Woven Basket Address Labels today! Make it complete with a set of matching checks.